Home / Canvas Print / Do U C Wot I C? Do U C Wot I C? SKU: sjs02. Category: Canvas Print. 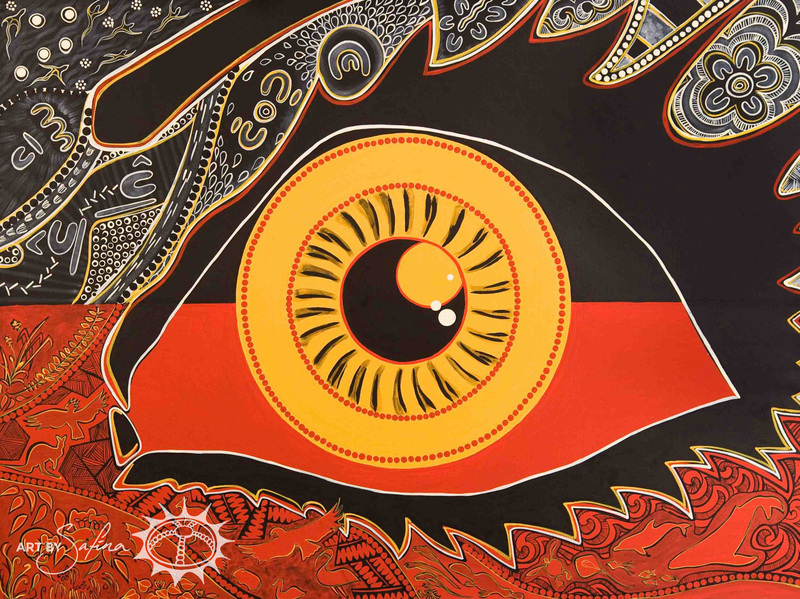 This dynamic artwork is composed of three layers: The Aboriginal Flag; Silhouettes of Aboriginal people, and Australian flora and fauna; and The watchful eye of an Aboriginal Australian. It was created for health practitioners who work with Aboriginal and Torres Strait Islanders. It requests that services be respectfully delivered in a holistic, self evaluative and culturally appropriate way in order to foster long lasting, positive outcomes for Indigenous Australians.